The municipality of Lagoa covers an area of around 89 Km2 and it is divided in six civil parishes; Carveiro, Estómbar, Ferragudo, Lagoa, Parchal and Porches and has approximately 24,000 residents. 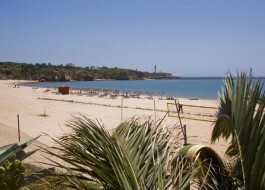 Lagoa is bounded on the north and east by the municipality of Silves, west by Portimão, and it fronts the Atlantic Ocean to the south. 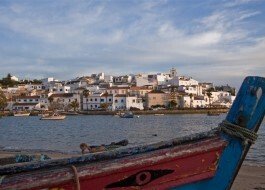 Lagoa is a municipality rich in beaches which are all very good in terms of water quality, accessebility and environment. 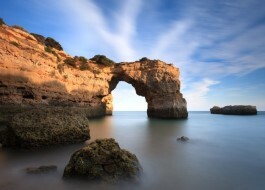 A few very popular beaches are Carvoeiro beach, Benagil, Senhora da Rocha and the world famous Marinha beach. 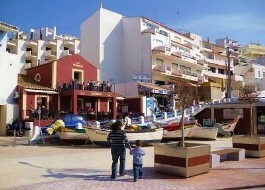 Highly sought after villages in Lagoa are Porches, Carvoeiro and Ferragudo. All areas are perfect locations to buy your holiday home, rental investment or permanent residence. Lagoa offers a wonderful mix of modern amenities and cultural heritage which make the location perfect for holiday and permanent residence. Thre are also many golfcourses in Lagoa and it has a cultural centre where performances are given each month (music/theater/art). Also the 'Center of saude' is established in Lagao, this is a small hospital where medical interventions and medical consultations are performed. A tip for Lagoa in the wintermonths is the public indoor swimming pool.